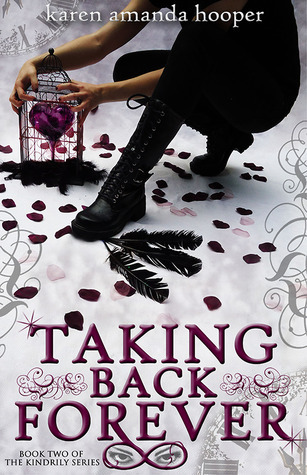 Today Such a Novel Idea is proud to host its first book blitz with Karen Amanda Hooper’s Taking Back Forever. Karen has been making up stories for as long as she can remember. In high school she discovered her passion for putting her thoughts onto paper, but it wasn’t until her late twenties that she wrote her first novel. Due to her strong Disney upbringing, she still believes in fairy tales and will forever sprinkle magic throughout all of her novels. Visit Hooper’s website and her Goodreads page for more information! You can also connect with this wonderful author on Facebook and Twitter. Now comes the fun part! There are not one but TWO giveaway chances today! Please be sure to complete each item on the list, as they will be checked prior to giving out the prizes. Good luck! My contest will run May 31 – Jun 16th (12 a.m. Central Time). There is no purchase nessecary and the contest is void where prohibited. Open to & US/Int! A big thanks to Karen Amanda Hooper and Xpresso Book Tours for this gift! Click HERE to win the Kindrily prize pack including a signed paperback of Grasping at Eternity and Taking Back Forever with other kindrily themed gifts (book blitz grand prize). I’ve been wanting to read this series! Thanks for the giveaway. Thanks so much, Jess! I loved your review and I’m so glad you enjoyed TBF!